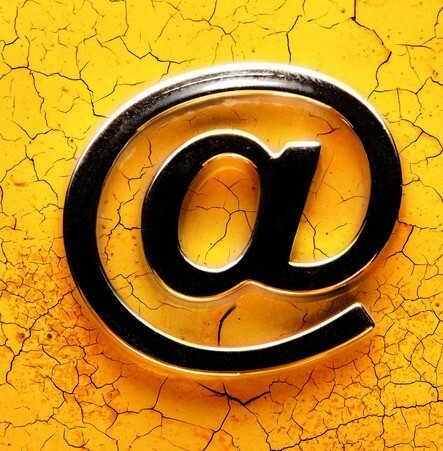 Having a professional email address is crucial to the branding of your business. Branded email simply indicates the customization of email for a business. Instead of using a free email server like yahoo or gmail, a branded email looks like this: . Branded email not only simplifies and secures your data management, but it gives you control over brand consistency - an effective, and critical, step in a branding strategy. But most importantly, the negative impact that generic email has on your brand proves that branded email is the only reasonable selection for a business. For that reason alone it is cost-effective! But here are 5 more ways your company benefits from branded email. Make a good impression through email -- it’s often someone’s first impression of your business. Send the message that your business is more trustworthy than a company using generic email. Establish your company as a brand. When clients see your company name repeatedly, they will remember it. Create brand consistency simply and without effort. Promote your business through every email from every employee. Your email branding travels with your email if it is forwarded. When your email address matches your website, it will promote your site. Your website traffic will increase the more exposure the business name and URL get. Branded email gives you control over your templates; customize them to your needs. Use minimal bandwidth when sending emails. View click-through alerts and usage graphs. Get daily email backups on your server. Significantly decrease the amount of spam you and your employees receive. With a Tolar-hosted email, your data is secured at a second location and is protected in case of a server crash or other crisis. Be professional; be memorable. Get a free quote from Tolar for implementing branded email into your business.